Information that you provide by filling in forms on our site. When you send us your details we need to know your name, e-mail address, telephone number, and brief details of the nature of your enquiry. Cookies help us understand which sections of our Websites are the most popular, as they help show which pages are being visited and how long for. 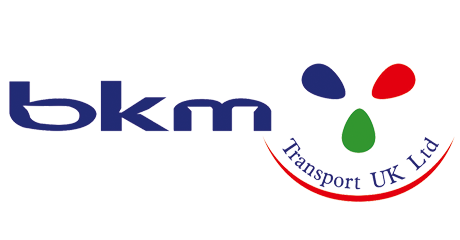 This helps BKM Transport adapt our websites to provide more relevant and accessible information. For example, cookies allow us to ensure that the information displayed on your next visit to our Websites will match up with your user preferences. Unfortunately, the transmission of information via the internet is not completely secure. Although we will do our best to protect your personal data, we cannot guarantee the security of your data transmitted to our site; any transmission is at your own risk. Once we have received your information, we will use strict procedures and security features to try to prevent unauthorised access. Our computer systems are restricted to authorised users by our Firewall and by the use of passwords both on our computer system and database. We also keep your information confidential. BKM Transport does not disclose this information to third parties, except if we are required to do so by law (in conjunction with an enquiry made by a governmental or regulatory authority, or court order).